Submarine Brin pictured during the war. All submarines armed with 100 mm/43 guns had them mounted in the conning tower. These were later replaced by deck-mounted 100 mm/47 guns. 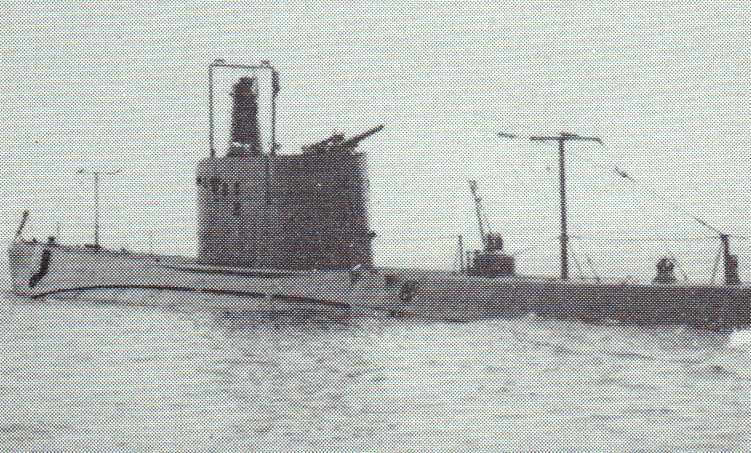 An unsuccessful attempt by OTO to reduce the size of the 100 mm guns for submarine use. Replaced during World War II with standard deck-mounted 100 mm/47 submarine guns.